Tickets to Meet Me on the Island – a series of events on June 1, July 6, and August 3rd that feature a blend of jazz music and artwork on the scenic island park overlooking the city skyline and sunset on the St. Joseph River. Members get complimentary tickets! 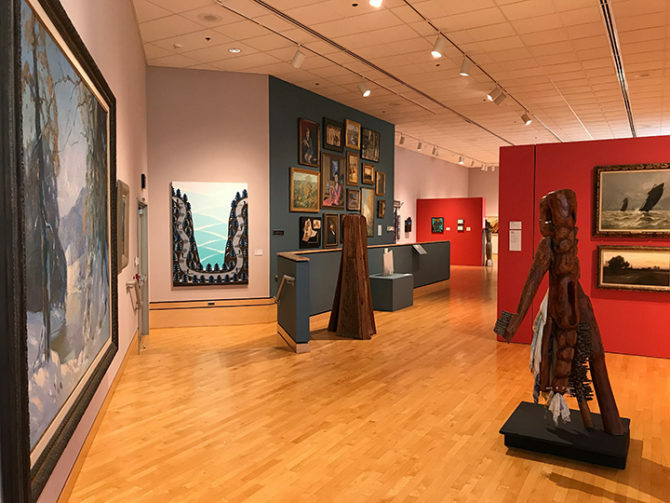 ROAM – The Reciprocal Organization of Associated Museums offers benefits at over 800 museums across the country to our members at the Sustaining Level and above. Traveling this summer? This is a must have! Garden Walk Arts in Bloom – featuring gardens near Downtown South Bend designed and maintained by homeowners, will be held July 11th, members get advanced ticket sales. Summer Outdoor Painting and Kids Camps – There is plenty of beauty to behold and capture on canvas in our parks and river front shores. Plein Air Painting, held outdoors, is just one of the classes offered in June for adults, along with many selections for kid’s camps Members get 20% off tuition! Warm Weather Scenes – and creative looks can be found in our Dot Shop. Have a remodeling project this summer? Members get 10% off their purchases of original artwork by local artists to complete a room and make it more personal. When you become a member of the SBMA, you belong to a community that shares enthusiasm for the arts and recognizes their role in creating cultural vitality in South Bend. Membership offers opportunities to experience art, education, and events throughout the year.